Hi All, first of all sorry for coming out late with next blog. Was busy in some personal and official stuff. Also during past few days, I have been exploring having Ansible set up in our network for ease of configuring and having a centralised place to do some configuration on single or all boxes at once. Ansible if you don’t know is Configuration Management, software provisioning tool. Ansible is in same league as Puppet, Chef, Salt provisioning tool but its different from them in some sense like Pull vs Push, Stateless vs Stateful etc. We will discuss these difference below but Ansible on top provides configuration/provisioning support for Network engineers in a sense that it has modules from different vendors like Cisco, Huawei, Arista, Nokia and Juniper. We will specifically discuss about Junos here. Juniper provides support for using Ansible to deploy devices running the Junos operating system (Junos OS). The Juniper Networks Ansible library, which is hosted on the Ansible Galaxy website under the role junos, enables you to use Ansible to perform specific operational and configuration tasks on devices running Junos OS, including installing and upgrading, deploying specific devices in the network, loading configuration changes, retrieving information, and resetting, rebooting, or shutting down managed devices. I have just started to explore Ansible so I am really Amateur in this area however may be after some months of work I will be in position to provide more details on this 🙂 . Before we dive into some examples let’s review what I said before regarding differences. Push vs Pull –> Puppet basically works on Pull mechanism where its hosts periodically pulls the configurations from server which is good for some things but not if you want change to deployed asap. On the other hand Ansible works in Push model where config is applied instantly to nodes/hosts. Stateless vs Stateful –> Ansible works in stateless mode where to use Ansible, nothing needs to be installed on Hosts i.e. switches/routers. Ansible and other libraries are installed on Server which is controller and it connects to nodes/hosts via SSH/Netconf. For Ansible to work with Junos, 3 requirements needs to be fulfilled first on server. Once this is done, we can run raw modules from Ansible server as Ad-hoc commands which basically uses SSH instead of netconf. So basically here we will be using raw module to check the version on host and we will provide the username with it and –k option will invoke us to put password. Shared connection to 10.198.123.103 closed. However ansible.cfg is picked up in following order and it is recommended to have our own ansible.cfg in current/home directory so that we can control the parameters we want to have. Example from my ansible.cfg which apart from standard defaults is also pointing to hostfile where all IP Addresses of routers/switches will reside. Lets see one example of playbook. So in this playbook we are adding a task of running multiple commands on 2 hosts and module we have used in junos_command and we are printing the output on session. "JUNOS Routing Software Suite [15.1F6.9]"
In this blog we will discuss about one important knob in JunOS i.e vrf-table-label. Junos by default allocates same VPN Label to prefixes recieved from one CE Interface. So for example if you have 2 CEs connected via 2 different interfaces and they are in same VPN on PE then Junos will allocate 2 different VPN labels to the prefixes recieved. In Cisco this is different where VPN label is allocated on per prefix which according to some is not optimal but we are not comparing anything here. Currently in our configuration vrf-table-label is not configured. If you see below, we have 2 CEs connected to Juniper M320 PE1 via 2 different interfaces and we have Ebgp relationship between them and we are receiving some routes over it. Now if we look at the VPN label which is being tagged by this PE1 for the routes received by CE, we can see that Junos is allocating separate VPN Labels to both of the routes which is what I mentioned earlier. Now if we configure the vrf-table-label under routing instance on PE1, we can see the difference. See the difference below, now only one VPN label is being allocated for the whole VRF and this really saves the label space. So this completes one part. Now moving over to 2nd part. Junos by default looks at the incoming MPLS packet, Pops the label and sends the underlying packet to CE without looking at IP packet at all. This situation is fine in case you have PE connected to CE via P2P links like Serial links however if you have Broadcast medium like Ethernet in between then router can’t just send the packet like this without first building the frame and to build frame it needs to do ARP lookup to get the MAC Address of the CE. 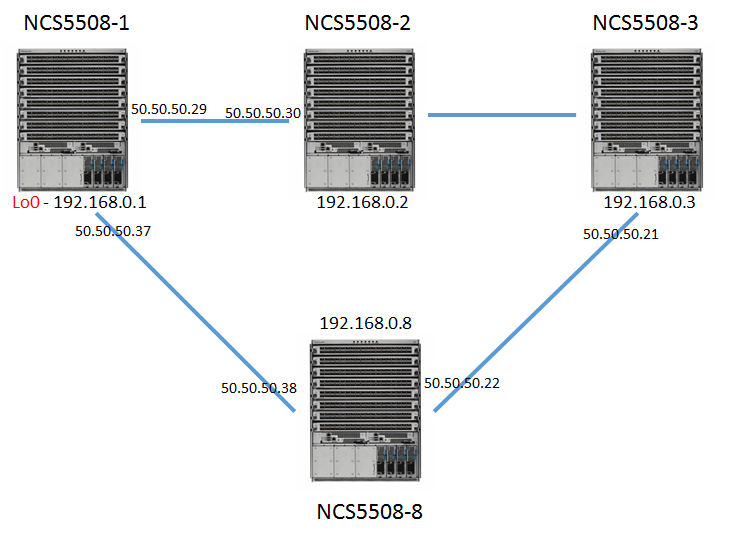 So it needs to do extra lookup apart from MPLS lookup. Vrf-table-label actually allows the router to do 2 lookups. The first lookup is done on the VPN label to determine which VRF table to refer to, and the second lookup is done on the IP header to determine how to forward packets to the correct end hosts on the shared medium. This can be useful for number of applications like ingress firewall filters, CoS etc. Now a days VT interface (tunnel-pic) is also used to do the same however if router doesn’t support tunnel-pic then vrf-table-label can be used in its place to do the same thing. With VTL, lsi interface is created which allows it to handle the first lookup before a second ARP/IP lookup is carried out through the PFE. Lets rollback the changes we did above and come back to same situation where unique label is assigned per CE port. VPN Label 300560 is assigned for the route by PE1 and when mpls table is checked for that particular label we can see action is Pop plus to send the packet directly to interface. If we enable the vrf-table-label now and check the same route and corresponding label. Lets see what we see. Ok so that’s all. I hope you liked the blog and I was able to resolve some of your confusion on this command. If you still have any queries, please let me know and I would be happy to discuss.